Friendship bracelets used to be made with strings and knots, but Jewelbots is making them very 2016. The start up's smart friendship bracelets ($69) encourage young girls to code. 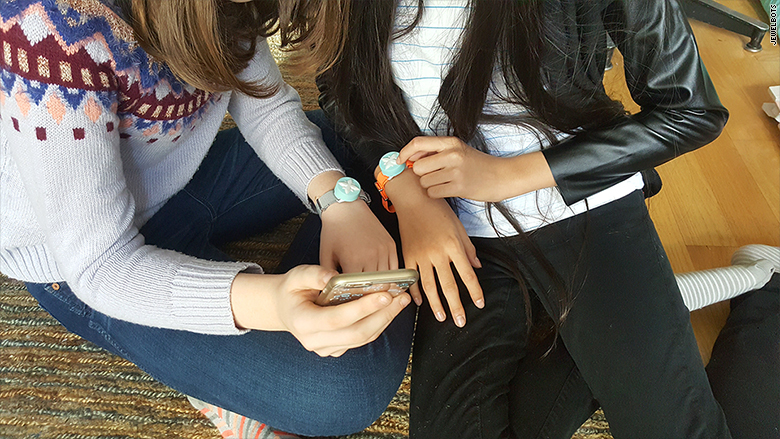 By using a smartphone or computer, teens assign friends a color and the bracelet will display the shade when that friend is nearby. It can also be programmed to send vibration messages, similar to Morse code. For example, two vibrations might be programmed to be mean "meet me by the locker" or "I aced the test."